This article proceeds in three parts. First, it sets out the general framework of parental rights and a child’s rights. Second, it explains the initiative – and how it applies, or more probably doesn’t, to the authors’ target, vaccination mandates in SB 277. Third, it explains why the initiative, and similar statutes, are a problematic idea and the potential harm to children from those. Unlike in the past, in modern times it is acknowledged that children have rights and matter. A child’s welfare is important – as demonstrated, for example, by the UN Convention on the Rights of the Child by the requirement for compulsory education and child labor law in all U.S. states, and by the best interests of the child standard used in custody cases. Nonetheless, parental rights are also important. There are at least three important reasons to respect the right of a parent to make decisions – including medical decisions – for their child. None of them, however, justifies giving parents unlimited discretion in making such decisions. In every case, protecting the rights of the child means that there should be limits on the ability of parents to do with the child as the parents want – and the state is the only body with the legitimacy and power to set and enforce those limits. First, in most circumstances, a parent is the most devoted advocate for the child. Ideally, a parent has first hand information about the child, cares passionately about the child’s welfare, and places the child first. This is the most important reason for giving parents substantial autonomy in making decision for the child: most often, we assume, parental rights are the best way to protect the child’s interests and welfare. But this underlying rationale – protecting the child’s interests – also encompasses the limit of parental rights. When a parent’s actions are no longer protecting the child, when a parent is even endangering the child, this rationale supports limiting rather than protecting parental rights. We would all like to think parents always do what is best for the child, but we all know that’s not the case. Sometimes parents abuse children. Sometimes even well-meaning parents do things that put children at risk. Parents have left infants in cars, leading to those infants’ deaths. Well-intentioned parents can and do make decisions that can seriously harm a child. It is the role of the state, in those circumstances, to step in and protect the child. Sometimes the state does that by legislating –for example, by passing laws making it illegal to leave a child in the car. Sometimes by court action – using criminal neglect statutes, or acting to remove neglected children, or ordering parents to provide care. State intervention in parental decisions is inevitably imperfect. The state can and does make mistakes both ways – intervening where it shouldn’t as well as not intervening where it should. But what real alternative is there? Who else can oversee parental choice and protect the child? We leave that role to our democratic process through legislation and our judicial process through court intervention because that’s the best we have. Another reason parents’ decisions should normally be respected is because it is parents’ responsibility to provide for their children and educate them, and they need the authority to do so. Parents’ limited resources, in a society where health insurance coverage is often incomplete, may mean they need to prioritize and choose between options. As long as the parents meet a basic minimum, those choices should be resected, to allow the family to manage its finances and itself. Parents may conclude one child needs more expensive private education and other children do well enough in public school, and the family cannot afford private education for all. Parents may prioritize medical interventions according to urgency and available resources. Parents need room to enforce discipline and educate their children. Here, too, however, there are limits to parental discretion. Denying insulin to the diabetic child is not a legitimate decision because of family priorities or as a disciplinary tool. Again, the need to prioritize resources and to have the authority to manage the family justifies protecting parental discretion, but it does not justify absolute protection. Your home should be a place where you have some freedom from society’s dictates and society’s oversight. And if there is anywhere where your autonomy should be protected, it’s inside your family. Again, this is an important reason to protect parents against state intervention in parenting decisions. Especially since we acknowledge there is more than one right way to raise children, and a liberal regime should respect diversity of values and beliefs – which also means giving parents freedom to raise their family according to their values. But again, our respect for privacy has limits. In the past, it was acceptable for parents to physically abuse their children or apprentice them at a very, very young age. Now, we set limits on the ability of a parent to use physical force against their child, and child labor laws and compulsory educational laws step into the family sphere to protect a child’s welfare. What this teaches us is that parental rights are important, but not absolute, and that it’s the role of the state to police the limits. That’s exactly what the jurisprudence of our Supreme Court says. On the one hand, the United States Supreme Court consistently protects parental rights to make decisions regarding their children’s upbringing. In Wisconsin v. Yoder, 406 U.S. 205, 207-09 (1972) the Court upheld the rights of parents to make educational choices and allowed Amish parents not to send their children to school past eighth grade, in spite of a statute requiring school attendance until the age of 16. In Troxel v. Granville, 530 U.S. 57, 68-74 (2000), the Court allowed a mother to deny visitation rights to grandparents, striking down a state law, and highlighting that a parent’s judgment about a child’s best interests deserve special deference. The Court is certainly mindful of the need to protect the freedom of parents to make decisions for their children. At the same time, the Court upheld states’ efforts to protect children’s welfare, emphasizing that parental rights were not absolute, and that when parental actions endanger a child’s welfare the state can intervene. The classic case on this is Prince v. Massachusetts, 321 U.S. 158, 170 (1944), where the state upheld a child labor law against a Jehovah Witness’ desire to have the children distribute religious materials. In a side statement the Court also addressed vaccination mandates, but the whole case is a statement of the limits of parental rights, limits deriving from the child’s welfare – a statement repeated in Yoder, Troxel etc’. Especially because children’s welfare is one of the rationales behind protecting parental rights, when parental rights clash with that welfare the state may intervene. Parents do not have carte blanche to make decisions that could harm the child. This reality is also reflected in jurisprudence that allows states to step in when parental medical decisions endanger a child’s interests and in the ability of the state to take control of neglected and abused children. It’s important to remember that in today’s reality, parents don’t own children. Children are neither property nor slaves. Their interests matter. Their well-being should be protected. Even against parents, when the parents make choices that put the children at risk. While the state is an imperfect body to do so, it’s the best we have: who else can oversee parental choices and act for children’s welfare? So that’s the background. How does that relate to this initiative? It’s important to remember who brought the initiative. It was brought by Lauren Stephens, who was one of the people heading the failed SB 277 referendum effort and is behind recall efforts against legislators who supported SB 277. In other words, Ms. Stephens is clearly an SB 277 opponent and at least a large part of her goal is to undermine SB 277. So it’s important to address whether the initiative would do that. (1) (a) The fundamental and natural right of the parent(s) to make informed medical decisions for their minor child(ren). (b) Medical decision includes, but is not limited to; treatments, prescription medication, . vaccinations, surgical procedures (elective or non-elective), mental health treatments, and other plans or procedures related to the health and well-being of their children. Note that the idea is not new – nor is its use by anti-vaccine activists (misguidedly) thinking it will protect their right to send unvaccinated children to school. Very recently anti-vaccine activists tried (and failed) to promote a similar bill in Colorado and there are calls to pass similar legislation in other states. For very good reasons, very few states passed such laws. Remember, the Supreme Court jurisprudence, as explained above, already protects parental rights – up to a point – that point being when those rights conflict with the welfare and rights of the child. By attempting to change the balance, so-called parental rights initiatives want to eliminate one segment of that protection, and thus reduce the sphere of protection provided children against parental abuse or dangerous parental errors. Would Parental Rights Amendment overturn California’s SB 277? That is very unlikely. In spite of claims to the contrary by opponents, SB 277 does not directly force parents to vaccinate. Hence it does not constrain their medical choices. Parents can still refuse to vaccinate. While the consequences of not vaccinating – being unable to send a child to school – may be hard, there is still a real difference between an order by a court to vaccinate, either by making the child a ward of the state for a time or directly ordering vaccination or a law that makes it a crime not to vaccinate, and a statute that conditions school attendance on getting certain vaccines, still leaves open the option of homeschooling or independent study, as SB 277 does. It therefore does not infringe on parental rights to make medical decisions. Moreover, codifying parental rights to make medical decisions would not undermine SB 277 for another reason: SB 277 is not just about the rights of a parent towards their own child – the decision not to vaccinate risks others. The parental rights amendment is unlikely to remove the state’s ability to quarantine children who were not vaccinated but exposed in an outbreak, because that affects the public health, not the parents’ decisions. Similarly, school immunization requirements are about making schools safer from diseases to all the children in there. Parental freedom to make medical decisions does not extend to making a decision to impose an infectious disease on others. No rights are absolute – even if their phrasing makes it seem as if they are. To argue that the Parental Rights Initiative invalidates SB 277, opponents would have to argue that “infringe” includes making a choice have consequences. While nothing is impossible, it’s unlikely that California courts would interpret the amendment that way. First, statutes are presumed to be constitutional, absent clear indication that they are not, and here, the amendment is far from clear on that. Second, that is an extremely broad interpretation of “infringe”, much beyond the usual meaning. A court could go there; but the effect on the ability of the state to impose other health and safety regulations on schools can be dramatic. Does that mean that schools cannot require TB testing since that imposes a burden? Or, for a different angle, let’s think for a moment about voting rights. For several years Southern states attempted to impose burdens that would prevent African Americans from voting. And for a long, long time the court did not struck those down. The Court upheld literacy tests (Lassiter v. Northampton County Board of Elections, 360 U.S. 45 (1959)) until changed by legislation, since they were applied equally to all races – even though in practice, the goal was discriminatory. The court upheld poll tax, initially (Breedlove v. Suttles, 302 U.S. 277 (1937)), and when it struck it down (Harper v. Virginia Board of Elections, 383 U.S. 663 (1966)) did so on the basis of equal protection. In other words, burdens by themselves are not an infringement of rights. It’s if they’re discriminatory – and burdens based on behavioral choices are not discriminatory. Not vaccinating creates a risk to the child not vaccinated and to others; and the state can regulate to prevent that risk. Parental Rights Amendment undermines state’s protection of children? While it’s far from clear that the proposed initiative would undermine SB 277, it can have other negative consequences. The amendment, if passed, would make it very difficult for the state to step in to protect children. Starting from vaccination, imagine a child bitten by a rabid dog. The parent does not want to vaccinate against rabies. 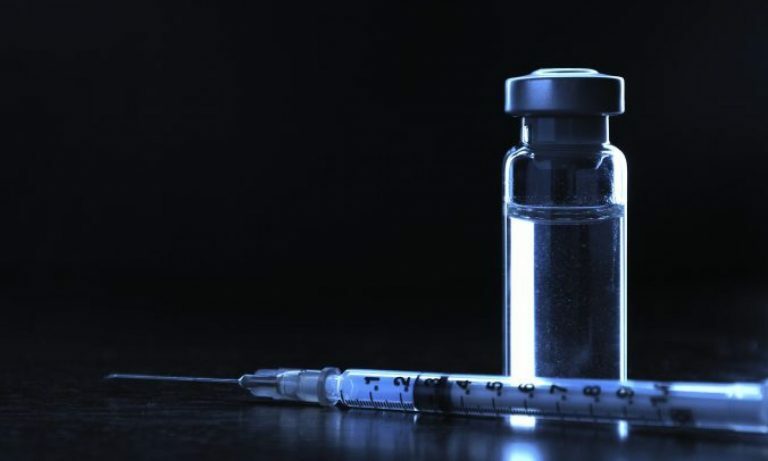 On its face, the amendment protects the parent’s choice; a court cannot order the child vaccinated, in spite of the high likelihood of death in that situation. Similarly, parents who want to treat a life-threatening infection with homeopathy; deny insulin to a diabetic child; a Jehovah Witness parent who feels compelled to deny a life saving blood transfusion; in all these situations, the initiative could prevent the state from stepping in and protecting the child. I doubt that’s what most SB277 opponents want. Nobody on either side of the debate wants children harmed; whatever our disagreements, we all want to see children safe and protected. This initiative goes the other way. It revives a vision of children as property of their parents, and potentially leaves them at real risk to their health and even life.